I believe that learning this craft of acting can be incredibly healing. My classes are a full body experience that lead to releasing deeper traumas that we all experience as we learn to survive in this world. I am forever amazed and inspired by the courage people have to want to get to know themselves on a deeper level so that they can create authentic and inspired art. My greatest joy is experiencing my students and clients truly empowering themselves through the work. It’s hard to hold the mirror up to yourself over and over again and really let others in, but the joy that comes with that deep awareness is immeasurable. I can’t imagine my life without this work and am so blessed to have worked with some of the best teachers in the world, who have guided me into helping others. 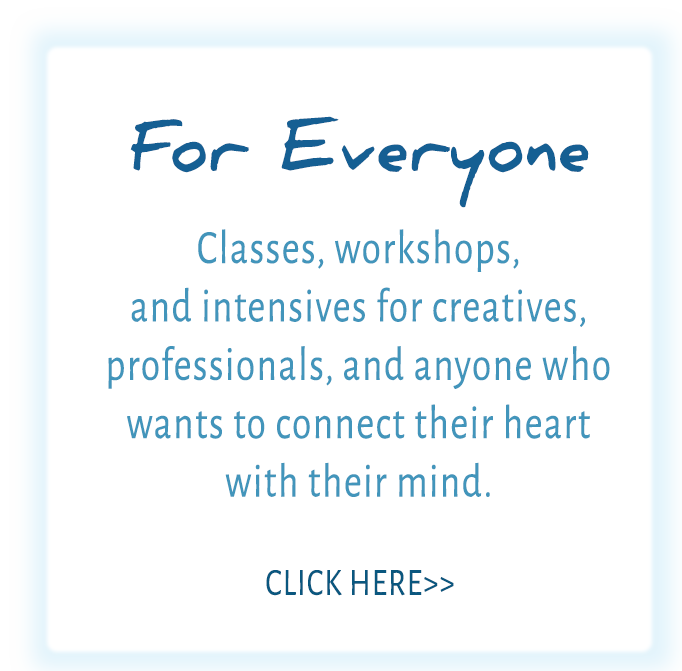 Fitzmaurice Voicework® is a whole-body approach to vocal training that helps you communicate both your meaning and your inner life with a free, flexible, potent voice. The work combines classical voice-training with adaptations of yoga, shiatsu, Reichian bodywork and other body-based/meditative practices. This work increases vocal health, presence, spontaneity, resonance, power, and emotional connection – the full range of humanity that can be expressed in the voice. Fitzmaurice Voicework® is taught in the MFA acting programs at Yale and Harvard, as well as NYU Studios, the Moscow Art Theatre School, and many other institutions all over the world. This technique, developed by one of the greatest acting teachers of the 21st century, is designed to develop an actor's powers of concentration, spontaneity and the ability to live fully in the given circumstances of a role. Developed by Sanford Meisner, the technique is a system of exercises he created and refined during his time at The Neighborhood Playhouse in New York. Anyone who has studied the technique knows the quote, "It's not the lines, it's the life." The Meisner technique allows actors to bring life to their lines, to react spontaneously and powerfully, following their natural instincts and living their roles deeply and truthfully. A combination of the two training techniques FitzMeisner brings Fitzmaurice Voicework® together with Meisner to create a powerful combination that will help actors to release blocks; find greater freedom, spontaneity and ease in performance on screen and stage; and feel more powerful and alive in their work. I believe that this work is for everyone. There is no person who does not need to feel more connected to themselves and the people around them. So while I spend a great deal of my time working with actors, I also have dedicated many hours working in a corporate setting and am equally passionate about bringing this transformative process to everyone who needs it. Click on one of the appropriate links below and find out more about the workshops, classes and coaching that I offer and how you can join.